This is a happy time of year for the gardener. Spring labors are coming to fruition. The tomatoes are ripening, the eggplants and squash plants are producing, and the green beans are plentiful. The bean plant is really beautiful. 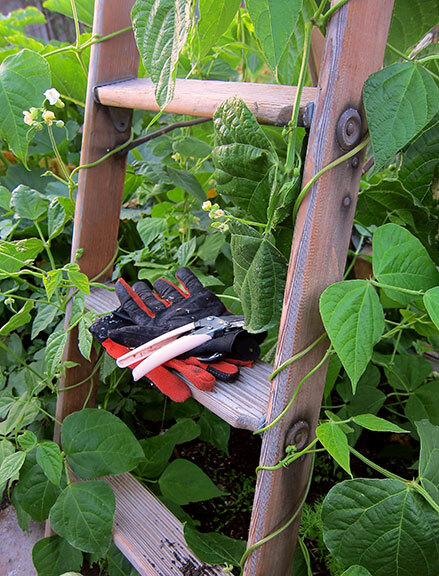 Aesthetically appealing, beans grown on towers, arbors or trellises can bring a beautiful elegance to garden. 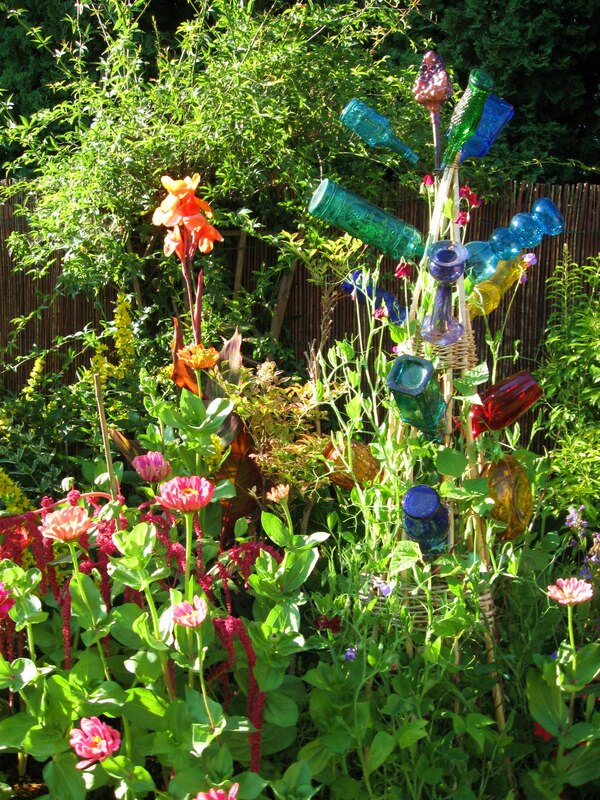 Blogger “wowthatsabusygarden” planted beans within the landscape and they added an artistic, quirky element to the space. 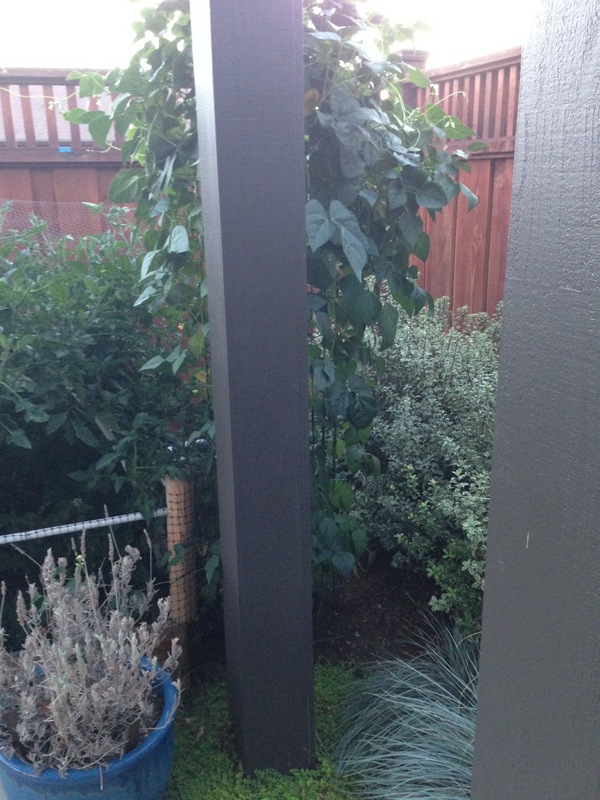 Pole Beans can easily grow in less than a 2′ x 2′ space. 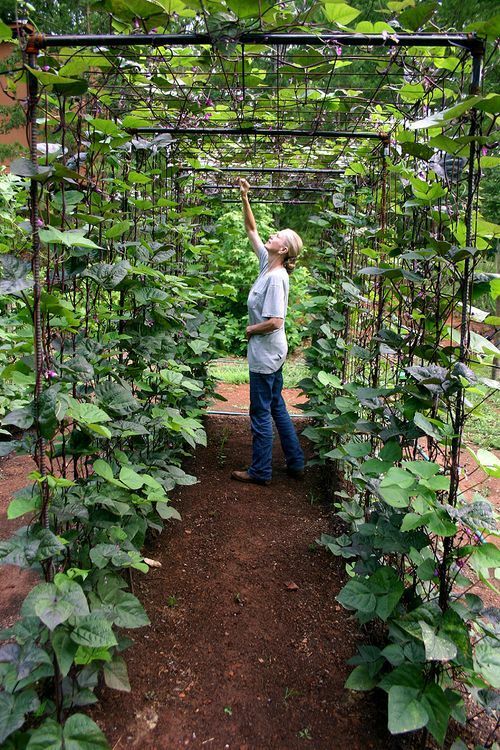 Stick a bean tower in the ground, build up 6-8″ of soil and mulch under and around it, run some drip tubing around the bottom, then plant the bean starts around the tower perimeter. 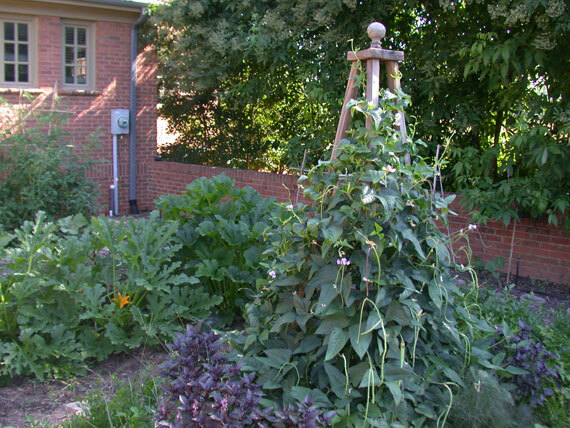 If you don’t have a bean tower, consider using a ladder, a topiary frame, or create your own structure from garden screen. The beans will grow with very little continued effort on your part. Our Scarlet Runners are coming on strong. Had our first beans at lunch today. 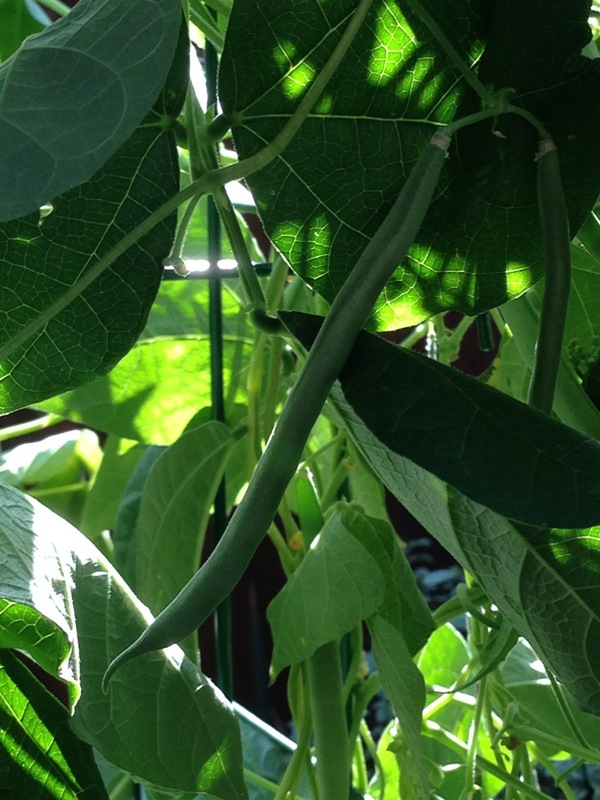 Scarlet Runners are great for green beans, but you can also let them get big and get tasty dry beans later.